The part is an coding sequence for an anti-microbial peptides linked to a mussel-foot protein. The mussel foot protein will anneal to surfaces as a wet glue and the antimicrobial domain is designed to interact with microbial membranes and interfere with membrane stability. 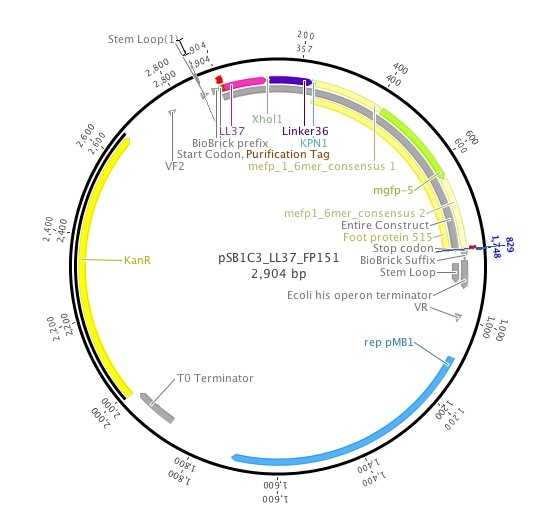 In order to use this part you can produce it in a TAG recoded organism simultaneously expressing a Tyrosine suppressor or L-DOPA orthogonal translational system. 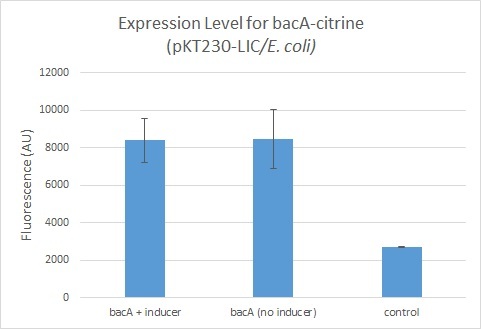 In order to purify you can use the 2X Strep tag and strep column and later cleave with enterokinase to remove the sequence suppressing LL-37 antimicrobial action. This is an improvement on the Utah State biobrick BBa_K1162006 which consists of only the LL-37 peptide.tion. This is an improvement on the Utah State biobrick BBa_K1162006 which consists of only the LL-37 peptide.